Actor and Activist Leonardo DiCaprio has joined forces with the World Wildlife Fund (WWF) to save a species on the brink of extinction. With as few as 3,200 tigers left in the wild, WWF and DiCaprio today kicked off Save Tigers Now. The campaign begins with an expedition to remote tiger habitats in Asia to document the wild tigers first hand and learn what needs to be done to save them from extinction. Tiger populations are shrinking fast as the species is threatened by habitat loss and illegal poaching; their skins, bones and other body parts are used in many cultures as medicines, talismans, status symbols and clothing. More than 90 percent of historic tiger habitat no longer has tigers. Three tiger sub-species have gone extinct since the 1940s and a fourth one, the South China tiger, has not been seen in the wild for 25 years. But tigers can thrive if they have strong protection from poaching and habitat loss and enough prey to eat. After DiCaprio was briefed by the WWF conservationists about the plight of these majestic animals, they decided to partner on a campaign to help raise awareness about the threats to tigers and raise funds for tiger preservation efforts. In honor of the Chinese Year of the Tiger, an ambitious goal of $20 million has been set with the vision of doubling the tiger population by 2022, the next Year of the Tiger. DiCaprio is traveling to Asia with WWF experts to see the threats tigers face first-hand. He will participate in anti-poaching patrols, meet with park guards on the frontlines of protecting tigers from international traffickers, and explore the best ways to protect these amazing creatures. 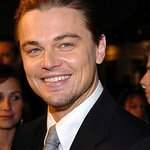 The Save Tigers Now website will allow supporters to follow DiCaprio’s journey and participate in the effort to save tigers. WWF is working on the ground across Asia to protect tigers. As part of the Year of the Tiger 2010, WWF has set a bold but achievable goal of doubling the number of tigers in the wild within 12 years, when the next Year of the Tiger is celebrated.